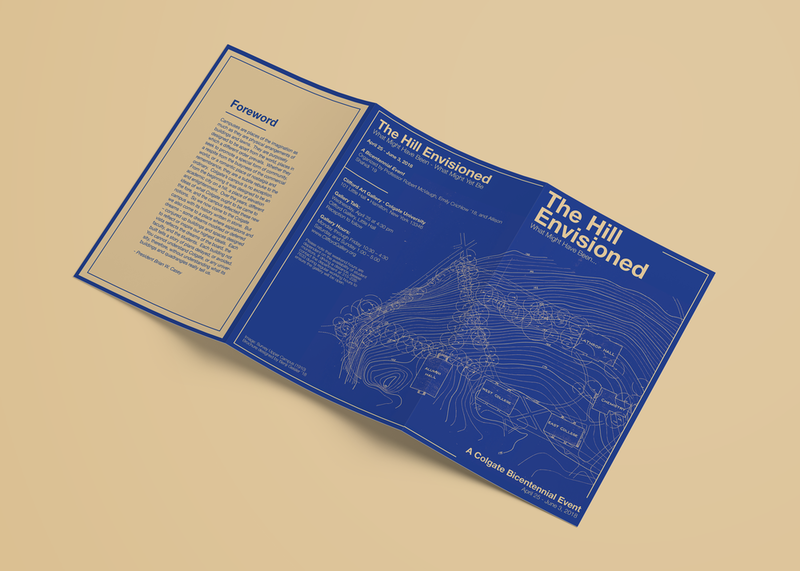 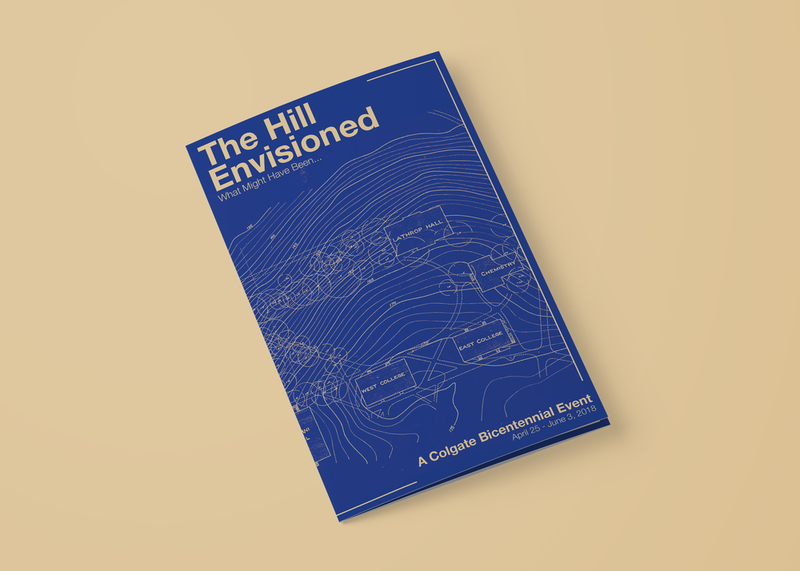 Brochure designed for Colgate University’s exhibition, “The Hill Envisioned: What Might Have Been” (April 25 - June 3, 2018), at Clifford Gallery. 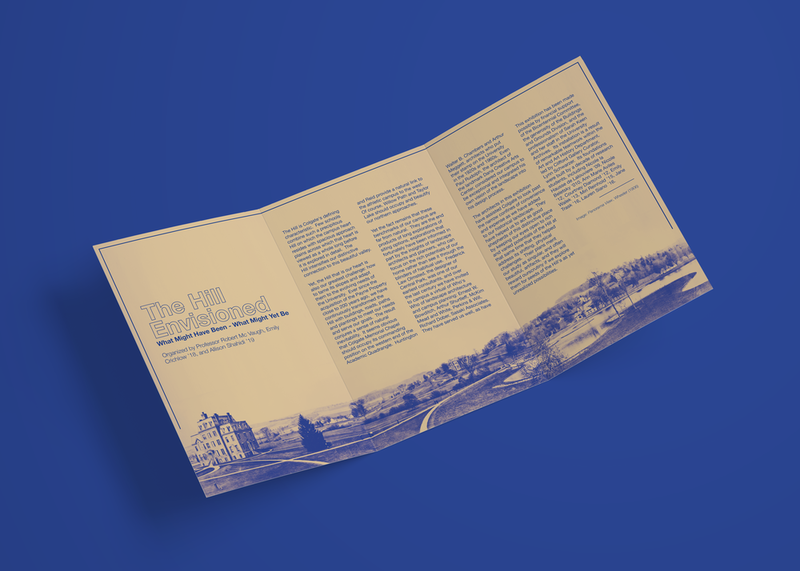 The exhibition, part of Colgate’s Bicentennial celebration, explored the development of the university’s distinct campus using archival architectural and campus plans throughout the last 200 years. 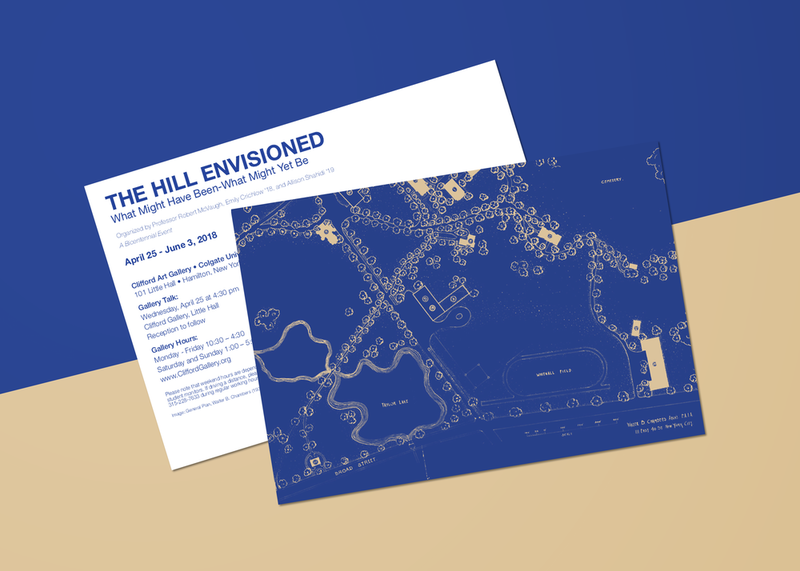 Postcard designed for Colgate University’s exhibition, “The Hill Envisioned: What Might Have Been” (April 25 - June 3, 2018), at Clifford Gallery.